An international research team has generated an “atlas” of hundreds of genetic factors linked with estimated bone mineral density (eBMD), which is one of the most important clinically relevant risk factors when diagnosing osteoporosis. Carried out by a team at the Lady Davis Institute (LDI) at the Jewish General Hospital (JGH), the genome-wide association study (GWAS) in more than 420,000 individuals enrolled in the U.K. Biobank, identified more than 500 genetic loci—including 301 new genetic factors—which together explained 20% of the genetic variance associated with osteoporosis. Subsequent studies in knockout mice that were engineered to lack target genes confirmed the relevance of many of the identified loci to skeletal phenotype. Osteoporosis is a common age-related disorder characterized by decreased bone strength and increased risk of bone fracture, the authors wrote. BMD is the most clinically relevant risk factor when diagnosing osteoporosis, and is a key risk factor for fracture. “BMD genome-wide association studies (GWASs) have demonstrated that it is a highly polygenic trait, and the known genetic determinants of fracture all act through BMD,” they stated. For the new investigation, the team undertook an eBMD GWAS of 426,824 individuals enrolled in the U.K. Biobank. They claim that the study is the largest ever undertaken to discover genetic determinants of osteoporosis. The analyses identified 518 genome-wide significant loci, 301 of which were novel. A further meta-analysis of 1.2 million individuals identified 13 fracture loci, all of which were also associated with BMD and/or eBMD. The relevance of 126 target genes to skeletal phenotype was then verified in knockout mice, each engineered to lack one of the identified eBMD-relevant genes. Detailed studies indicated that one of these genes, DAAM2, represents a key eBMD target gene linked with bone strength and fracture. “Disruption of DAAM2 in mice led to increased cortical porosity and marked bone composition and strength reduction and decreased mineralization in human osteoblasts,” the authors commented. They also identified CBX1, WAC, DSCC1, RGCC, and YWHAE as additional eBMD target genes, for which there was evidence of an association with fracture. “These five genes had contrasting abnormalities of bone structure and strength when deleted in mice, emphasizing their functional role in skeletal physiology and importance for further study,” the authors stated. 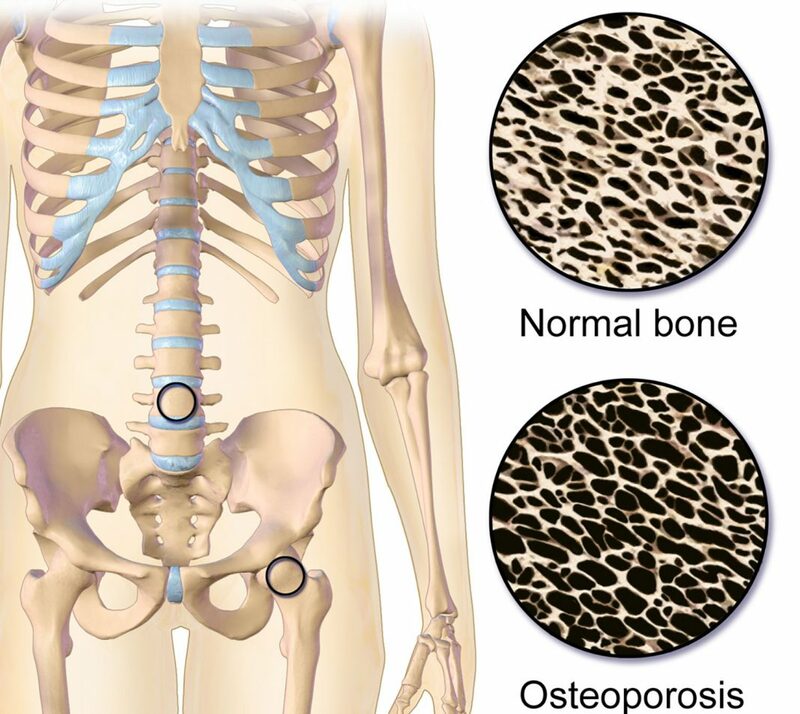 They hope that the findings will help scientists understand the pathophysiology of osteoporosis, as well as open up new drug development opportunities. “Although we found many genetic factors associated with BMD, the kind of precision medicine that genetics offers should allow us to hone in on those factors that can have the greatest effect on improving bone density and lessening the risk of fracture,” commented John Morris, also from the LDI and McGill University, and who is the lead author of the published study.